The fight for transparency in campaign contributions suffered a major casualty last week, but Montana is once again leading the charge to shine a light on dark money and put an end to shifty campaign finance shenanigans. 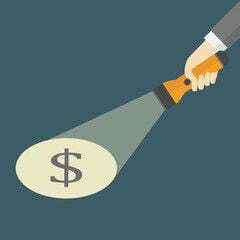 Last week, the Internal Revenue Service and U.S. Treasury Department decided to exempt certain nonprofits from having to disclose their major donors, making it even easier for these organizations to hide the “dark money” they spend to influence elections. Gov. Steve Bullock and U.S. Sen. Jon Tester moved swiftly to counter this assault on campaign transparency, with Montana’s governor filing a federal lawsuit while Montana’s senior senator introduced legislation to overturn the new rule. Thus this battle is now being fought on two fronts — in the judicial and legislative arenas. Montanans must rally to join the fight. It’s essential that we voice united support for these efforts from the state’s two leading Democrats, and urge reinforcements from the Republican members of Montana’s congressional delegation. After all, campaign transparency is a fundamental component of election integrity. It shouldn’t be a partisan issue. Promisingly, Democrats and Republicans alike, including all three of Montana’s congressional delegates, have been on the same page with respect to the genuine threats working to undermine the integrity of the nation’s electoral process. In spite of President Trump’s skepticism, U.S. intelligence leaders are unanimous in their confidence that Russia did in fact interfere in the 2016 elections in an attempt to influence the vote in favor of Donald Trump. Russian operatives hacked servers, leaked emails and promoted fake news on social media. Regardless of its intent or its source, fake news is best countered with truth and facts. That’s why campaign finance transparency is so important: the public must have ready access to reliable, relevant information before casting their votes in any election. Ideally, the source of every penny donated to every candidate would be immediately accessible to the public, with the amount of the donation, the name and address of the donor, and the date of the donation readily available. Unfortunately, we are far from this ideal, and appear to be moving further away from it despite Montana’s best efforts. For more than a century, state law prohibited political contributions from corporations, but the 2010 ruling by the U.S. Supreme Court in the Citizens United case opened the door for corporations to donate directly to parties and candidates. In 2012, the Supreme Court again delivered a blow to Montana’s valiant attempt to hold the line, striking down its ban on corporate contributions. In 2015, Montana struck back, with Democrats and Republicans joining to pass the DISCLOSE Act and force dark money groups to report their spending in the state. The primary problem with allowing contributions from corporations — or any other group, be they unions or nonprofits — is that it enables individual donors to hide their names behind a larger organization. Is your representative doing favors for campaign donors with deep pockets? If those donors are free to finance their favorite politicians anonymously, you’ll never know. Bullock’s lawsuit seeks to block the IRS from tossing out the rules, put in place more than 50 years ago, that require a variety of 501(c) nonprofits to provide the names and addresses of their major donors. These include powerful tax-exempt advocacy groups such as the National Rifle Association and Planned Parenthood, which are still required to disclose their donor information to the IRS. But without a disclosure requirement, it’s much, much easier for those seeking to influence an election to skirt federal laws by forming an exempt nonprofit months before an election, accepting excessive contributions or contributions from foreign sources, and then dissolving before the IRS can investigate — but well after Election Day. Transparency is the only way to hold donors accountable for following the laws. The bill continues a trend from Tester of pushing for greater transparency in elections. He has, for instance, sponsored or co-sponsored bills aimed at reversing the Citizens United ruling. It’s no secret that more money is pouring into political campaigns with each election cycle. The 2018 midterm elections are no exception, with the U.S. Senate race on track to be the most expensive in Montana this election cycle. Tester, who is running for a third term, has already raised more than $3 million, according to the latest Federal Election Commission reports. His Republican challenger, State Auditor Matt Rosendale, has raised more than $1 million following an expensive primary. Both Tester and Rosendale are benefiting from heavy spending by outside groups. Both campaigns present a challenge when it comes to combing through lengthy campaign finance reports. Most recently, Rosendale’s campaign raised some eyebrows when the Daily Beast reported that he had seemingly found a legal but ethically questionable way to get around individual campaign contribution limits. Apparently, donors who had already maxed out the contribution limit for the 2018 election gave additional money to help Rosendale pay off the debt from his 2014 House race. Voters can decide for themselves whether they find this practice objectionable. The important thing is that they are aware of it, thanks to campaign disclosure requirements. Transparency in campaign finance is near and dear to the hearts of Montanans because we've seen what happens when a wealthy individual or rich company exerts control of the political process. The Treasure State threw off its "copper collar" long ago, but we must fight at every opportunity to make sure it never comes back.